Overview: This activity can be paired with any book about nature, gardening, etc... After reading a book such as My Garden by Kevin Henkes or The Tiny Seed by Eric Carle, you can create flowers of your own! First, we will make the stencil for the flower. Fold the piece of computer paper in half so it looks like the picture in step 2. Cut along the fold. Place the white paper on the tissue paper. Using a pencil, lightly trace the white paper. Cut out the tissue paper rectangle. Repeat 15 times. Stack the pieces of tissue paper on top of each other. Make the pile as neat as you can! After you have creased the fold well, flip the entire stack of paper over (the folded side should still be on the bottom, but upside down). Now repeat the same fold again. Repeat this fold about five times, or until all of the paper is folded. Your stack of tissue paper should look like the picture below. Now we will attach the stem of the flower. Wrap the pipe cleaner around the middle of the folded tissue paper. Twist the pipe cleaner so it will not fall off. Take make the petals fancy, cut the ends of the tissue paper to make rounded edges. Very carefully, begin separating the layers of tissue paper. To make the flower look full, gently pull the top and bottom layers towards the pipe cleaner. Once you have separated all the layers, your flower is complete! You can make more to have many flowers for your tissue paper garden! 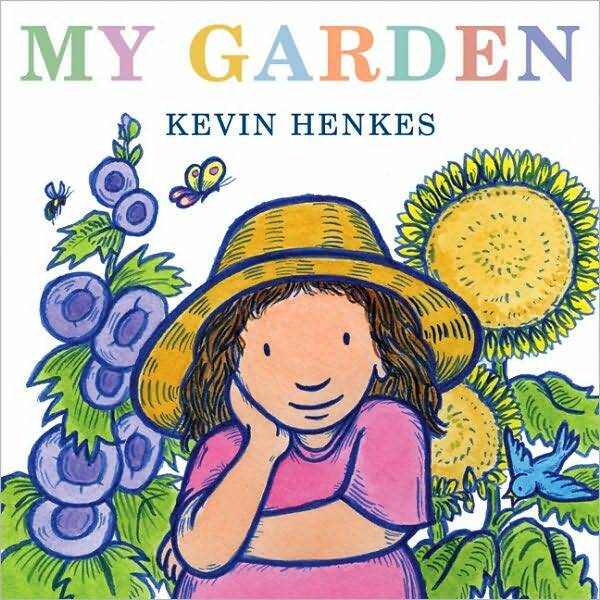 This book tells how a young girl helps her mother with the garden. But then, she imagines what her dream garden would be – complete with “chocolate rabbits, tomatoes as big as beach balls, flowers that change color, and seashells!” A great summertime read aloud for children ages 2-3 or independent read for ages 4-6! 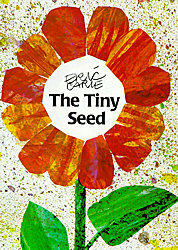 This books follows the life cycle of a flower, from its beginnings as a tiny seed until it blooms into a beautiful flower. An educational and engaging read for kindergarten through second grade level!